Founded in 1723 by Lord Tyrawley, an Irish officer in the British Army, the garrison town of Ballina, or “Béal Átha an Fheadha”, (‘the mouth of the ford’) started out as thriving seaport and market town on the River Moy in the 16th century. Rich in history, the town has evolved since General Jean Humbert marched through Ballina during the French Rebellion, but the town’s market heritage remains visible in its vibrant shopping streets. From the paradise of Belleek Woods, to the history and heritage of Belleek Castle and the Jackie Clarke Collection, to the buzz of the town with its Georgian streetscapes, to the flourishing food and restaurant culture, and the newly opened Connacht Whiskey Distillery, there is something for everyone to savour in the capital of North Mayo. 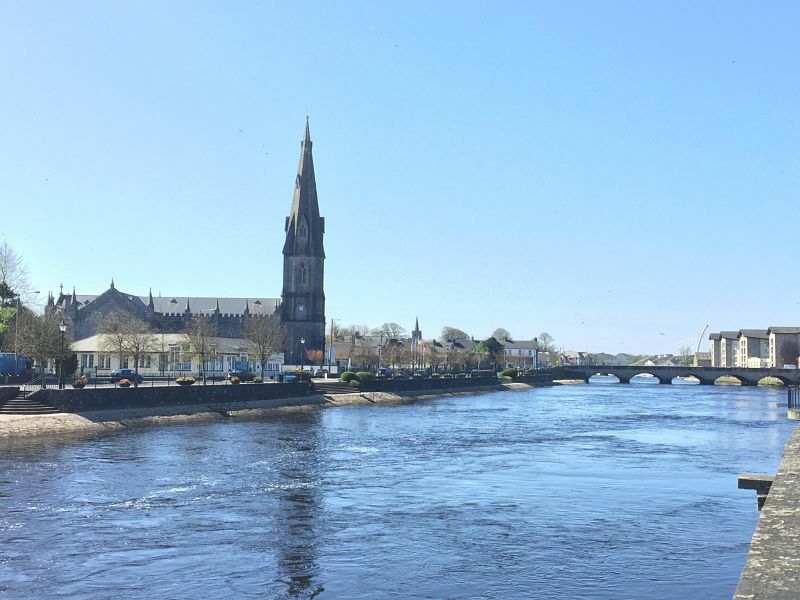 Ballina has officially been designated as The Salmon Capital Of Ireland, by virtue of the quality of angling available on the River Moy. This status is echoed throughout the town with dedicated walkways along the river where tourists can observe anglers at the world renowned pools, beats and weirs. And of course, our own Ballina Salmon Festival! Among the town’s impressive vantage points are the town’s striking angling-themed pedestrian bridge, the Salmon Weir Bridge, and nearby Cathedral walk.